Scientists say they have taken a step towards making the dream goal of nuclear fusion more achievable, by identifying the location of energy in a process known as fast ignition. In fast ignition, a spherical fuel cell is hit with hundreds of lasers, compressing the fuel, which is normally a mix of deuterium and tritium. Next, a high-intensity laser rapidly heats the now compressed fuel. This "spark" can provide an ignition that allows the process of nuclear fusion to begin, by creating a super-heated plasma that produces vast amounts of clean, usable energy – the same process that fuels the Sun. The only problem is, the high-intensity laser must deliver its energy to the densest region of the fuel to provide the spark, something that's hard to do without knowledge of where this is. That’s where the scientists from the University of California, San Diego, and General Atomics come in. Using copper tracers inside the fuel cell, they found that it was possible to see where the biggest build-up of energy was, and thus the densest region, using an X-ray imaging system. Their research was published in the journal Nature Physics. "Before we developed this technique, it was as if we were looking in the dark, " co-author Christopher McGuffey from UC San Diego said in a statement. "Now, we can better understand where energy is being deposited so we can investigate new experimental designs to improve delivery of energy to the fuel." In their experiments, the researchers were able to achieve a record-high 7 percent efficiency of energy transmission from the high-intensity laser, which is a factor of four better than the previous fast ignition record. Using computer simulations, the scientists also predicted that their method could produce an efficiency as high as 15 percent. Does this mean we can start installing nuclear fusion reactors in our homes fairly soon? Not quite. 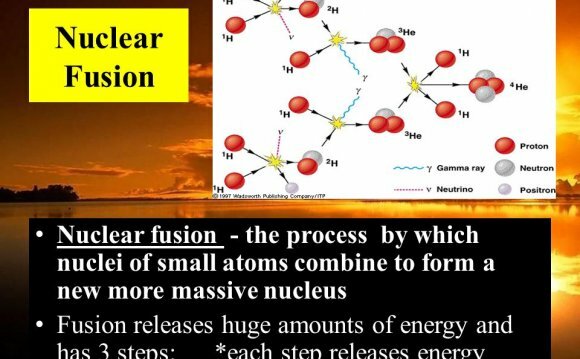 As mentioned, fast ignition is – as its name states – just the ignition process that gets the nuclear fusion process going. Actually containing and utilizing any resulting high-temperature plasma remains difficult. But progress is being made. Towards the end of last year, German scientists successfully fired up their experimental Wendelstein 7-X (W7X) nuclear fusion reactor, which took 19 years to build. This so-called stellarator can only produce a plasma for a tenth of a second – but it’s a start. And over in France, there’s the continuously delayed International Thermonuclear Experimental Reactor (ITER), which is expected to produce its first plasma next decade. Both W7X and ITER would benefit from this more efficient fast ignition process to spark their plasmas. "We hope this work opens the door to future attempts to improve fast ignition, " co-author Farhat Beg, also from UC San Diego, added.